Some game developers tried using an active learning approach which was optimized for players that learn through experimentation and exploring carefully designed levels. Games like Megaman X (Capcom, 1993) follow this approach. Other developers relied on old-school techniques, teaching the player everything before they could play the game, such as in Heart of Iron 3 (Paradox Interactive, 2009). While one cannot argue that one technique is always superior to another, different techniques suit different audiences and/or games   .
. Suddaby describes multiple types of tutorials , from none at all to thematically relevant contextual lessons, where the tutorial is ingrained within the game environment. Tutorial types are related to the different learning capabilities of the users who play them. Sheri Graner Ray (2010) discusses different knowledge acquisition styles in addition to traditional learning styles: Explorative Acquisition and Modeling Acquisition. The first style incorporates a childlike curiosity and “learning by doing”, whereas the second is about knowing how to do something before doing it. We can define at least two distinct tutorial styles from this, one being exploratory during gameplay and the other being more instructional before the game even begins. Williams suggests that active learning tutorials, which stress player engagement and participation with the skills being learned, may be ineffective when the player never has an isolated place to practice a particularly complex skill . In fact, Williams argues that some active learning tutorials actually ruin the entire game experience for the player because of this reason. According to Andersen et al., the effectiveness of tutorials on gameplay depends on how complex a game is to begin with , and sometimes are not useful at all. Game mechanics that are simple enough to be discovered using experimental methods may not require a tutorial to explain them. From these two sources, we find our first two boundaries for tutorial generation: there exists mechanics that are too simple to be taught in a tutorial, and there are mechanics complex enough that they may need to be practiced in a well-designed environment to hone. Tutorial Presence: whether the game has a tutorial or not. Context Sensitivity: whether the tutorial is a part of story and game or separate and independent from them. Freedom: whether the player is free to experiment and explore or is forced to follow a set of commands. Availability of Help: whether the player can request for help or not. The classification proposed by Andersen et al. is binary. However, it is useful to see tutorials situated on a continuum between these extremes, as this allows us to gain a more nuanced understanding of game tutorials. For example: The above figure shows the tutorial in Braid (Number None, Inc, 2008) for a time rewinding mechanic. The tutorial only appears based on a certain event, i.e. the player’s death. Players will not know about the mechanic until their first death. Instead of having the tutorial available at anytime or showing how to use the mechanic at the beginning, the developer reveals it when it is first necessary. Teaching using instructions: These tutorials explain how to play the game by providing the player with a group of instructions to follow, similar to what is seen in boardgames. For example: Strategy games, such as Starcraft (Blizzard, 1998), teach the player by taking them step by step towards understanding different aspects of the game. Teaching using examples: These tutorials explain how to play by showing the player an example of what will happen if they do a specific action. For example: Megaman X uses a Non Playable Character (NPC) to teach the player about the charging skill . Teaching using a carefully designed experience: These tutorials explain how to play the game by giving the player freedom to explore and experiment. For example: in Super Mario Bros (Nintendo, 1985), the world 1-1 is designed to introduce players to different game elements, such as goombas and mushrooms, in a way that the player can not miss . One way of seeing that is that early obstacles are instances of patterns, which reoccur later in the game in more complex instantiations or combinations . A game can have more than a single tutorial type from the previous list. Arcade games used demos and instructions to both catch the attention of the player and help them learn it. The demos help to attract more players, while simultaneously teaching them how to play. On the other hand, showing an information screen before the game start, such as in Pacman (BANDAI NAMCO, 1980), or displaying instructions on the arcade cabin, frequently seen in fighting games, helps the player understand the game and become invested in it. 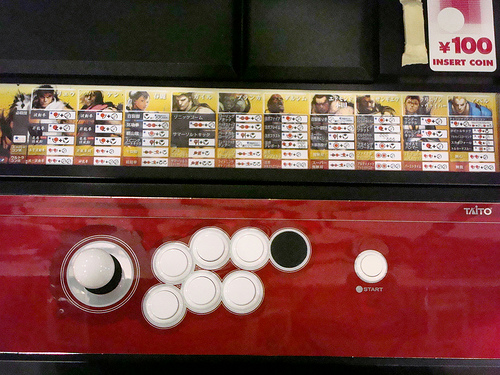 The above figure shows Street Fighters arcade cabinet where different characters combos and moves are written on it. Megaman X uses a carefully designed level to teach the player what to do, but still gives an example of the powershot attack if the player missed it. Therrien, C. 2011. “To get help, please press x” the rise of the assistance paradigm in video game design. In DiGRA Conference. Andersen, E.; O’Rourke, E.; Liu, Y.-E.; Snider, R.; Lowdermilk, J.; Truong, D.; Cooper, S.; and Popovic, Z. 2012. 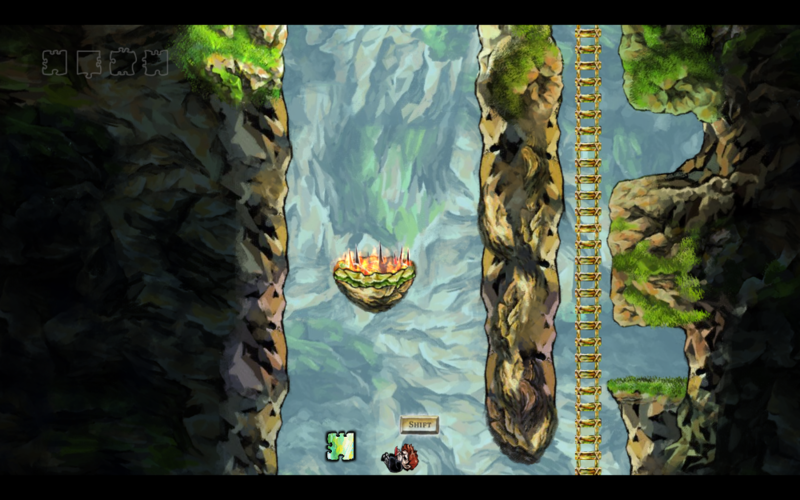 The impact of tutorials on games of varying complexity. In Proceedings of the SIGCHI Conference on Human Factors in Computing Systems, 59–68. ACM. Williams, G. C. 2009. The pedagogy of the game tutorial..
 Ray, S. G. 2010. Tutorials: learning to play..
 Suddaby, P. 2012. The many ways to show the player how it’s done with in-game tutorials..
 Egoraptor. 2011. Sequelitis – mega man classic vs. mega man x..
 Dahlskog, S., and Togelius, J. 2012. Patterns and procedural content generation: revisiting mario in world 1 level 1. In Proceedings of the First Workshop on Design Patterns in Games, 1. ACM. Credits, E. 2014. Design club – super mario bros: Level 1-1 – how super mario mastered level design..